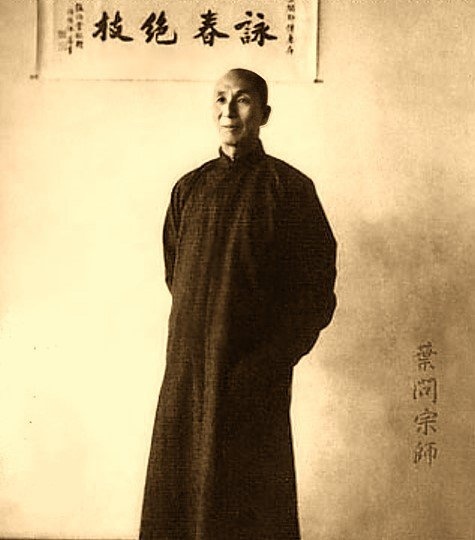 There are several versions of the early history of wing chun, the most popular version and the version relayed by Ip Man is that of the shaolin nun Ng Mui, an elder of the Sium Lam shaolin temple, who fled the temple when it was razed to the ground in the eighteenth century. She is reported to have developed the style having witnessed a fight between a snake and a crane. Ng Mui used the concepts involved in the contest, incorporating the direct striking of the snake and the simultaneous block and strike of the crane’s beak into a new fighting style, creating the style that was to be called Wing Chun. While visiting a local village, Ng Mui met Yim Yee who was also a student at the shaolin temple. Ng Mui learned that a local warlord had made known his intentions to marry Yim Yee’s daughter, forcibly if necessary. Ng Mui decided to teach Yim Yee’s daughter, Yim Wing Chun, this newly developed fighting style. Having learnt this new system, Yim Wing Chun then returned to the village and beat the warlord in open combat. And the legend was born. After marrying she passed on her kung-fu knowledge to her husband, Leung Bok Chau. In honour of his wife, Leung Bok Chau named the system after her – “Wing Chun” which means beautiful springtime. Wing Chun kung-fu was always kept a secret fighting knowledge until the late Grandmaster Ip Man (1873-1972) began openly teaching the system in Hong Kong in 1957. 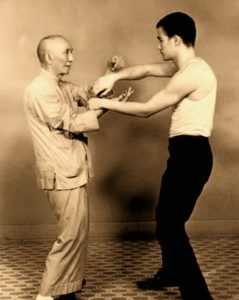 Amongst his students was the infamous Bruce Lee who was the first to take Wing Chun kung-fu out into the western world. His displays of Wing Chun speed and efficiency left such an impression on those who witnessed his demonstrations that he ushered in a whole new era in the world of martial arts and is largely responsible for the growth of Wing Chun on a worldwide scale.